Active, inflammatory acne is a skin disorder that involves the oil glands of our skin (sebaceous glands). Normally, the skin oil (sebum) flows out of these glands and spreads evenly over the skin. 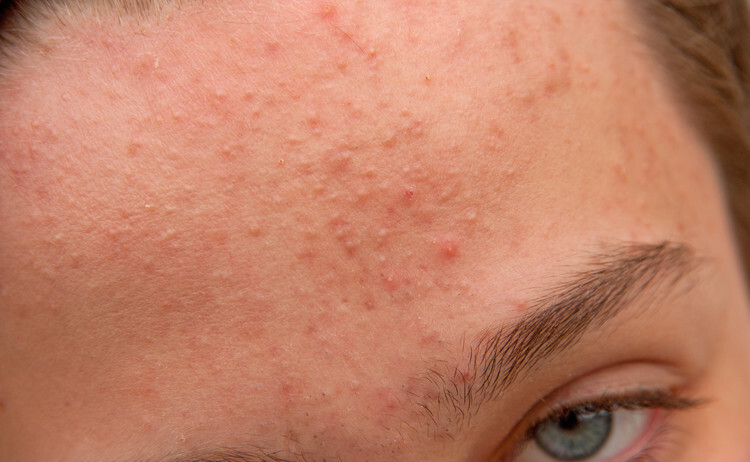 However, for people with acne, the openings of some of these glands are clogged by “plugs” made of dead skin cell and dirt, creating what we call "comedones". When the plug is deeper in the oil gland, it has a whitish color (i.e. white comedo or whitehead). When this plug is exposed to the air, it oxidizes and generates a darker looking color (i.e. blackheads). Blackheads (or open comedones) appear as dark brown/black “dots” at the surface of the pore. Blackheads are often found on the nose, but can also appear on other areas of the face and body. Whiteheads (or closed comedones) are small, 1-2 mm “bumps” in the skin. Whiteheads are located deeper in the pore with only a microscopic opening to the skin surface. Since the air cannot reach the follicle, the material is not oxidized and remains white or has the appearance of being "closed". What are the best treatments for comedones? Skincare routine: Treatment of comedones—both whiteheads and blackheads—takes time. Most treatments take several weeks to months before a noticeable change can be seen. The best thing to do is start, and commit, to a good skincare routine with the right, medicated ingredients, in proper doses according to skin type, sensitivity, and acne severity. Best cleansers for comedones: Adequate cleansing of the pores is an essential step for the long-term management of all types of acne. In the case of comedones, the best choice is a medicated cleanser that contains salicylic acid. To avoid over-drying of the skin, these cleansers should be personalized to the user's skin type. People with dry or normal skin types should use a cleanser with a lower percentage of salicylic acid (0.5%) whereas people who experience more oil on the skin should use a higher percentage (2%). Best treatment creams for comedones: the best topical medications to prevent and treat comedones are salicylic acid, benzoyl peroxide, and retinoids (tretinoin/retinoic acid). 1) As a key hormone in the plant's immune system, Salicylic Acid destroys the P. acnes bacteria. 2) Salicylic Acid can help reduce redness, acne inflammation, and swelling (*it's one of the key ingredients in aspirin!). 3) Its oil solubility allows Salicylic Acid to easily penetrate and unclog pores. 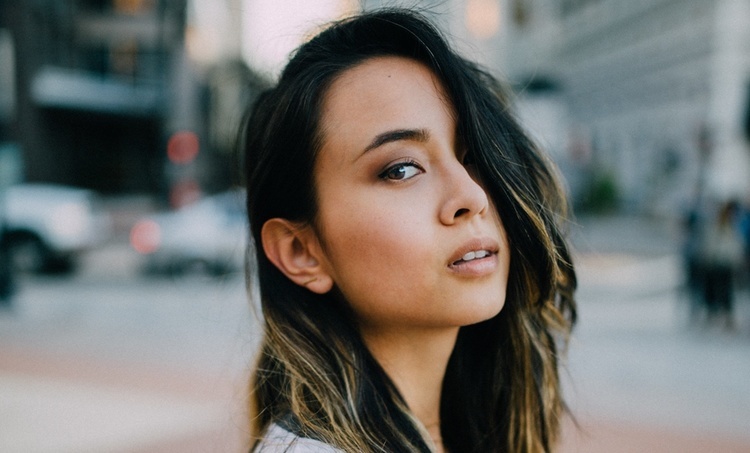 Benzoyl Peroxide: While Salicylic Acid is the best ingredient for comedones, Benzoyl Peroxide Is the single most effective topical anti-acne ingredient. Benzoyl peroxide has an antibacterial effect and may also decrease the chemical reaction that changes the lining of the hair follicle. As with Salicylic Acid, it also has a keratolytic effect, which helps unclog pores and prevent new comedones from forming. Retinoids: Topical retinoids are commonly prescribed medications for the treatment of both blackheads and whiteheads. Types of retinoids include tretinoin (Retin-A, Avita, Renova), Adapalene (Differin), Epiduo (combination of Adapalene and benzoyl peroxide) or tazarotene (Tazorac). Retinoids are derivatives of vitamin A and work by increasing cell turnover and reducing the "stickiness" of the sloughed off (i.e. "dead") skin cells. There are 2 main disadvantages of using retinoids for acne. First, retinoids can be irritating. Second, sunlight exposure deactivates the positive effects of the retinoids. Third: retinoids will make your skin more sensitive to the sun. For these reasons, it's very important to limit sun exposure and wear sunscreen during treatment with retinoids. Fourth; retinoids are not very active on active, inflammatory pimples. When to extract blackheads: Always extract blackheads after a warm shower or bath. The warm water will soften your skin and steam will help open pores to make extraction easier and less traumatic to your skin. Metal Extractors: Never, ever use metal comedone extractor. Using these “devices” is very dangerous will lead to scars, possible infection, and even broken capillaries in the skin. Not good at all. These devices might look helpful and they can be when used in the trained hands of a dermatologist or aesthetician but can be a recipe for disaster when used improperly at home. Blackheads Strips: The best and safest way to extract blackheads is with pore cleansing strips such as the blackhead removal strips from MDacne. You can buy these at most drug stores. Hands: If you don't have access to an aesthetician or blackheads strips and are in dire need to extract blackheads, you can (very carefully!) use your hands. Wash your hands thoroughly with warm water and soap. Dry them and wrap a clean tissue or piece of toilet paper around each index finger. Gently push down with each finger on the sides of the target blackhead and squeeze with a rolling motion. If it doesn't come out within 3 tries...stop! Don't force it or you will cause bigger issues down the line. Skincare: One of the keys to preventing blackheads is to keep your pores open. The best way to support this topically is by using cleansers and treatment creams with Salicylic Acid (2% recommended), such as those from MDacne Exfoliating scrubs or masks with Salicylic Acid can also help but should never be used more than once a week. Over-exfoliation can dry and irritate the skin and make blackheads and inflammatory acne worse. You always want to be gentle with your skin! Makeup & Sunscreen: Make sure to always use only products labeled non-comedogenic. Non-comedogenic means the products were tested and found to NOT clog pores. Always be mindful of what you're putting on your skin. Even with using the right topical skincare treatments, using the wrong makeup can clog pores and may cause more comedones. In these cases, it's important to ensure your makeup is labeled "oil-free" or "non-comedogenic", meaning that it won't clog pores. Whiteheads and blackheads are types of acne that affect many people. There are good treatment options available, so there is no need to suffer from this condition in silence. The best way to start treatment is with a personalized cleanser and treatment cream that includes salicylic acid, such as those available from MDacne. For people who also experience inflamed pimples as well as comedones, the best treatment is a cleanser with salicylic acid paired with an acne treatment cream with benzoyl peroxide. Blackheads are visually annoying, so we understand why it's really hard for some people to resist the urge to pick at them. If you find yourself with blackheads that you feel you NEED to remove, here are some tips on how to extract blackheads yourself safely and effectively + prevent new ones from forming.